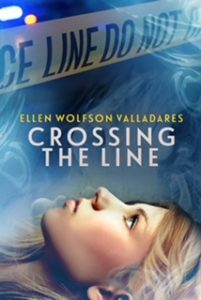 When I got the e-mail about Ellen Valladares and the blog tour for her new YA novel, Crossing the Line, I jumped at the chance to review the book. A teenage girl ghost from the 1980s? A mystery? A young journalist as the protagonist? I couldn’t not check out the book, as these are themes near and dear to my own heart. Thanks to Crystal Otto with WOW! Blog Tours for offering me the chance to participate! 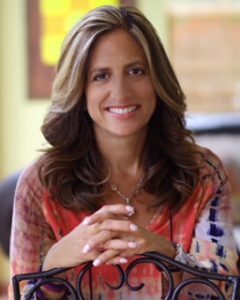 You can check out an interview with the author here. This book had everything I enjoy in a novel–relatable characters, paranormal elements, mystery, romance and a time period the features the music and fashion I adored. But Crossing the Line turned out to be so much more than that. I knew from the opening pages that there was more to Laura’s death than met the eye. Through alternating chapters, the reader is able to learn more about the character of Laura, and her murder at the hands of a female classmate. Throughout the course of the novel, Laura is a student at “The Academy,” or how the author presents the Afterlife. As she learns various ways she can reconnect with the living, she also receives a mission that requires her to reach out to a modern-day student at her former high school, Rebecca. When Rebecca first makes contact with Laura through a Ouija Board (remember those? ), she is understandably frightened. But through her sleuthing skills and help of her journalism teacher, she starts to investigate Laura’s death and her long-standing feud with the girl who murdered her, Katie. Valldares is a masterful writer and plotter, and I enjoyed reading the story through the alternating chapters of Laura and Rebecca’s voices. She skillfully tied the characters of the early 1980s to present day (I won’t get into too much here but there were plenty of surprises on that front!) and I could easily understand how a teenage boy could could cause friction among two female students. The mission Laura is on is also woven into the novel in a way that flowed seamlessly. And not to give too much away, but I was also glad to have the chance to hear from the character of Katie herself, but I won’t reveal exactly how. I look forward to sharing this book with my own teenage daughter. I know she’ll love it. 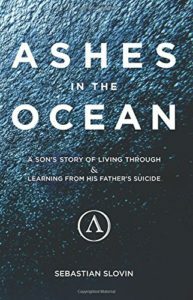 Today I’m hosting author Sebastian Slovin in support of his touching memoir, Ashes in the Ocean: A Son’s Story of Living Through and Learning From His Father’s Suicide, during his blog tour with WOW! Women on Writing. Vernon Slovin was a legend. He was one of the best swimmers in his home country of South Africa, and for a time in the world. He prided himself on being the best. The best in sports, business, and life. He had it all, a big home, athletic prestige, fancy clothes and cars, and a beautiful wife and family. Everything was going his way until it all came tumbling down. He lost everything, including his own life. In the wake of his suicide he left his wife and two young children. In this riveting memoir, Vernon’s son, Sebastian Slovin chronicles his experience of living in the shadow of a suicide, and his journey out of the darkness and into the light. Slovin shares his quest to uncover why his father took his own life. A pilgrimage that led him around the world and eventually back to himself. Ashes in the Ocean is a powerful story about facing one’s fears and choosing a different path. Since he can remember, nature has been a central part of Sebastian’s life. He was fortunate to grow up in the beach community of La Jolla, California, and spent his childhood mixing it up in the ocean. As a young boy, he lost his father to suicide, which would later deeply inspire his path in life. As a young adult, he had the opportunity to travel extensively and experience many of the world’s great surf spots as a professional bodyboarder. Through his travel, Sebastian developed a deep love and appreciation for our natural world, and at the same time was drawn to the practice of yoga. 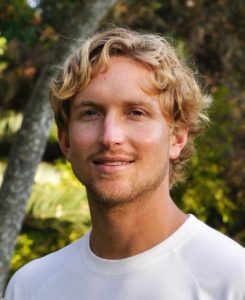 His love for yoga led him to study at Prana Yoga Center in La Jolla, California, and his passion for nature eventually led him to pursue a BA in Environment and Natural Resource Conservation at San Diego State University. He also holds an MA in Leadership Studies from the University of San Diego. From the opening pages of Ashes in the Ocean, I was pulled into Sebastian Slovin’s personal and heartfelt memoir. My heart raced as I read through the description of a popular annual swimming race in California and how Vernon Slovin would deliberately enter the heat of the race with the younger competitors just to challenge himself. I could easily picture his beautiful young family cheering him on from the cliffs above. The scene is the perfect way to introduce the determined, physically fit man constantly seeking perfection and the acknowledgement that he was the best at anything he set his mind to. There are some people who are born to be one with the water, and Vernon Slovin was one of them. He passed this legacy down to his son, Sebastian. The description of the ocean waves and pristine beaches in picturesque La Jolla, California throughout the book made me want to transport myself there—as did the later chapters featuring beaches in Australia and South Africa. Because his father’s suicide occurred when he was only six years old, it was many years before Sebastian had the context in which to explore the dynamics in his father’s personality that would lead to such a catastrophic end. For years he and his mother and younger sister struggled to pick up the pieces, to survive without the sheltered and prosperous world Vernon Slovin had tried to insulate them in. Although he was young when his father took his own life while staying with family in Australia, Sebastian grew up hesitant to discuss “the elephant in the room” with his mother for fear of opening up old wounds. He also feared, deep down, that because of his genetics and history of his father’s mental illness he too would have no choice but to succumb to a suicidal end. Once in high school, though, Sebastian continued to cycle through the emotions many deal with after losing a loved one to suicide—confusion, guilt, and anger. To help process his lingering questions, Sebastian embarked on personal research project in the hopes of filling in the unanswered questions he had about his father’s life and death. With much of the dogged determination his own father had possessed, he met with his father’s former swim teammates, friends, and business partners. With each e-mail, conversation, and long-distance correspondence, he learned more and more about the competitive swimmer who was recruited from South Africa to compete at the college level in the United States. Vernon took the same skills and drive that made him successful in swimming and translated that to his business life. During one of Sebastian’s interviews with one of his father’s friends, he started to understand that his father had an almost unhealthy obsession with “winning” and achieving his goals. He would shut out everything else while he worked to achieve them. Because of this obsession, he didn’t know what to do when he failed, which he ended up doing in his career as a stockbroker. It’s clear both the legacy of his father and the shadow of his death affected Sebastian in more ways than one. He shared the same passion for water, and competed for many years in professional bodyboarding at beaches all over the world. When he discovered yoga, he became convinced he had to be the very best teacher and took all the certifications necessary to become a master instructor. It was only while sidelined after a serious hip surgery (where he re-injured himself after trying to get back in shape too quickly) that he realized he was following directly in his father’s footsteps once again. Sebastian’s memoir is a thoughtful exploration of the deep ties we have to family and how we must shape our own destinies, regardless of what we think are the legacies left behind for us.